More detail can be read from project documentation. 1.) 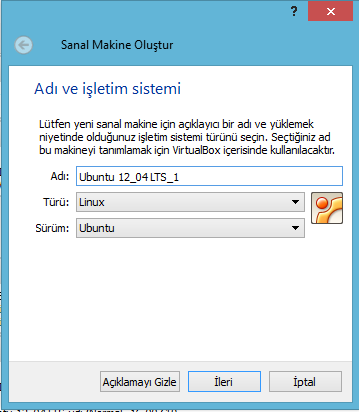 Install Virtual Box to your computer. 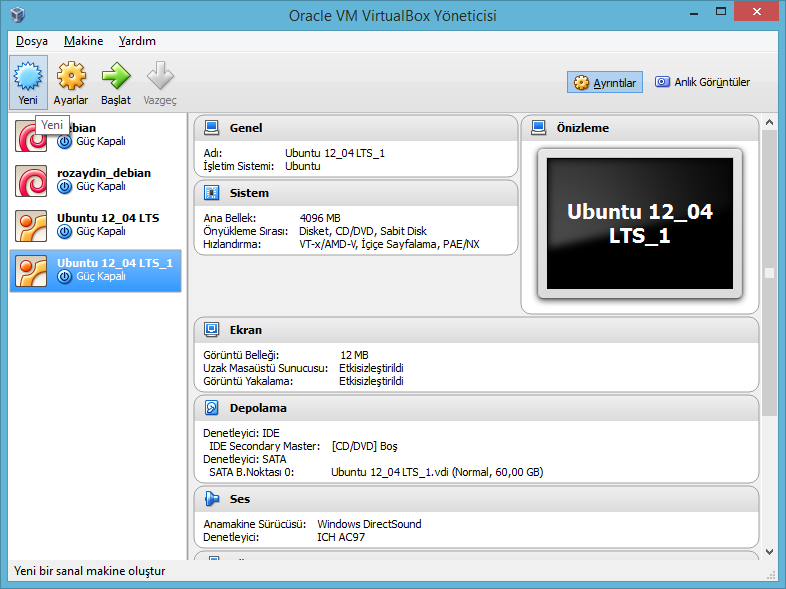 I used Virtual Box 4.3. just download it from https://www.virtualbox.org/wiki/Downloads installation requires no black magic. Clicking next next and next will do the trick. 2.) Once installed run it. 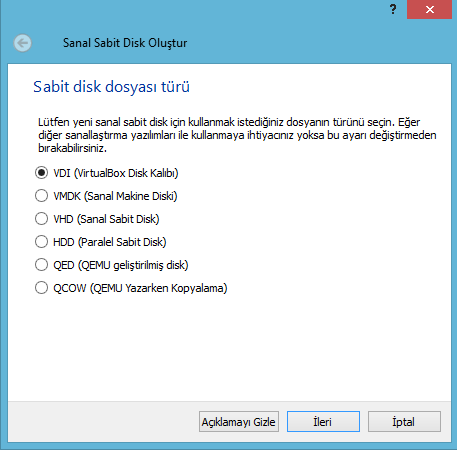 And create a new virtual operating system by pressing new. 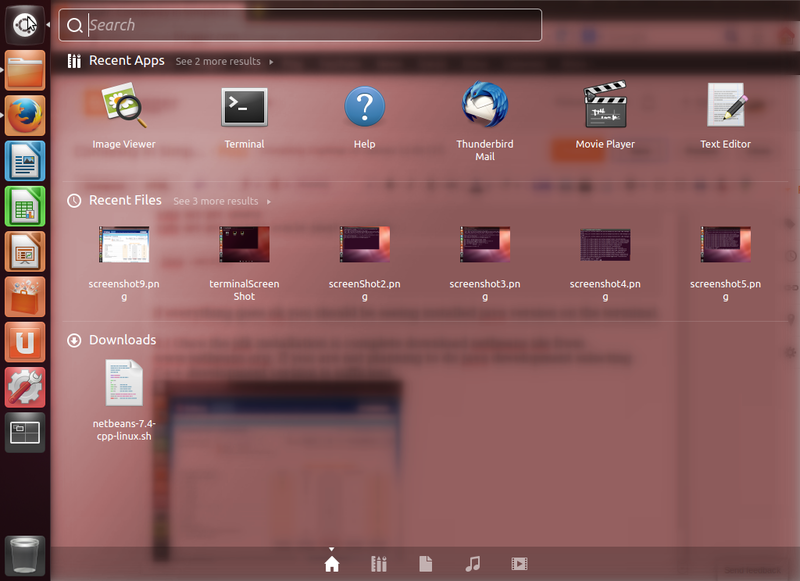 Below are some screenshots, in respective order, i took while creating my virtual OS. 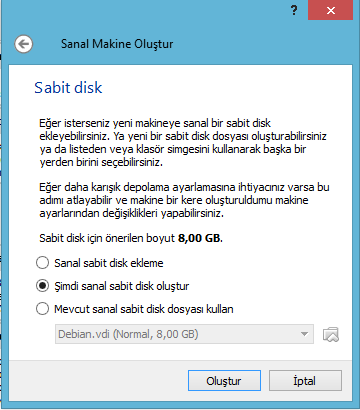 (Language is Turkish :) but should not be an issue) i allocated 4096 MB Ram, and 60 GB Hdd space. 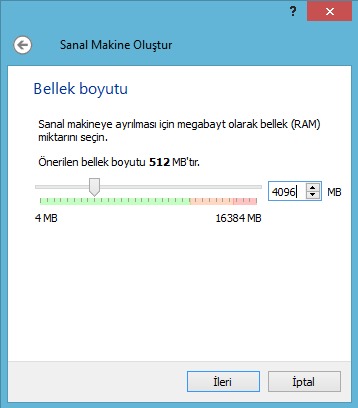 You should allocate at least 64 MB ram for graphics adapter for a comfortable desktop experience. 6.) If you survived up to this point rest is a little more straight forward. 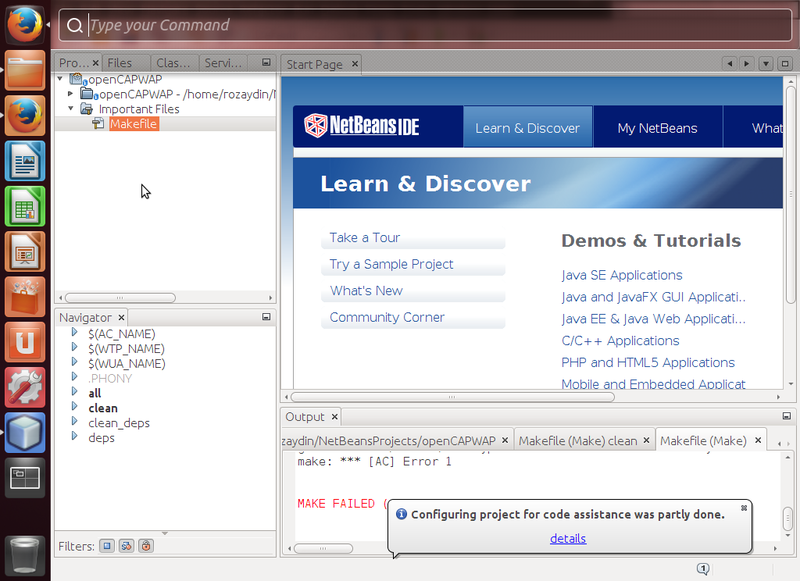 i installed Netbeans as development IDE the reason is i love Netbeans :). 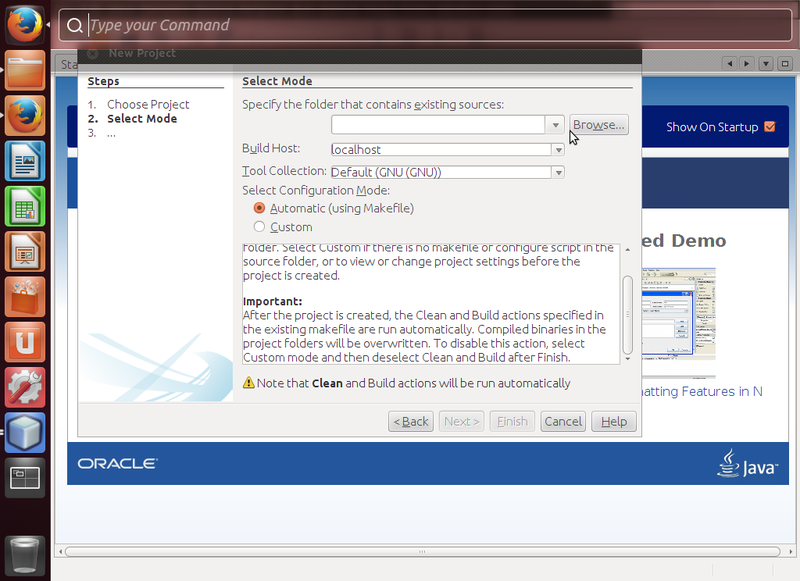 You need to install JDK and than Netbeans follow steps below. if everything goes ok you should be seeing installed java version on the terminal. 8.) 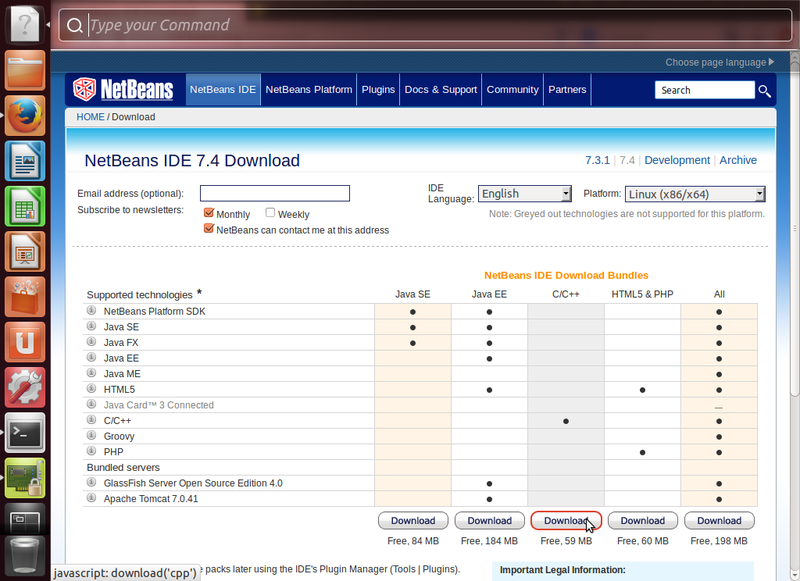 Once the jdk installation is complete download netbeans ide from www.netbeans.org. If you are not planning to do java development selecting C++ development version is sufficient. 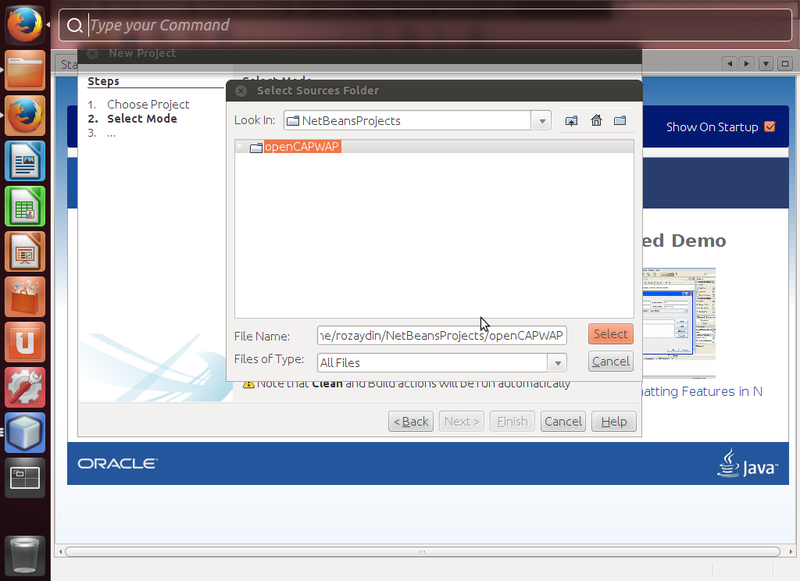 When the download completes run the netbeans installer. Your installer file should be located in Downloads directory under your home directory. Installer can be invoked with sudo bash ./"netbeans-installer-name"
type https://github.com/vollero/openCAPWAP as the repository url and click next, in next screen just click next and finish. 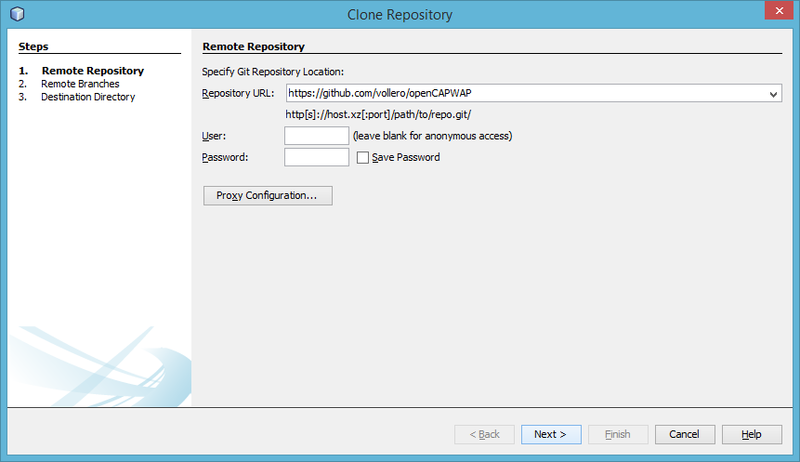 Once the clone opration complete the ide will show a dialog "Do you want to create an IDE project from cloned resources?" click Create Project. Follow the screen shots for next steps. Well if you followed properly you should be seeing the project in the ide right now, congrats only a few more steps left to make it compile properly. To make CapWap compile you need to install libpcap-dev, libssl-dev libraries and you need to tweak a few lines in the make file. Well thats it. Save MakeFile and press clean build from the top, it should compile with no errors and you are ready to go. I hope someone finds this article useful, feel free to leave your comments below. Your page is very useful for me. Now, I have the project which have to implement CAPWAP protocol and take it into library for using in Wifi network. It's difficult for me now because I've just had 3 days to investigate CAPWAP protocol. I see your pape, and I think after follow your steps, we can comply openCAPWAP project, right? It's better if you can take more page for those steps.